Protein-packed, breadless sandwiches. These roll ups make a fabulous addition to packed lunches! These little guys are basically breadless sandwiches. I love sandwiches and if I can’t be bothered to make my paleo bread, these are an awesome substitute. The possibilities with these roll ups are endless. You can sub turkey breast for sliced chicken or beef, guacamole for hummus or mustard, and add any vegetables you want! They make an excellent protein packed snack, or as part of a lunch. I actually first made these for a children's lunchbox series I did in a Facebook group and they were a hit with all the kiddos on there! Place two slices of turkey on top of each other. Spread guacamole over the turkey as if it were sandwich bread. Add your red pepper, cucumber sticks and carrot sticks in the center of the turkey. 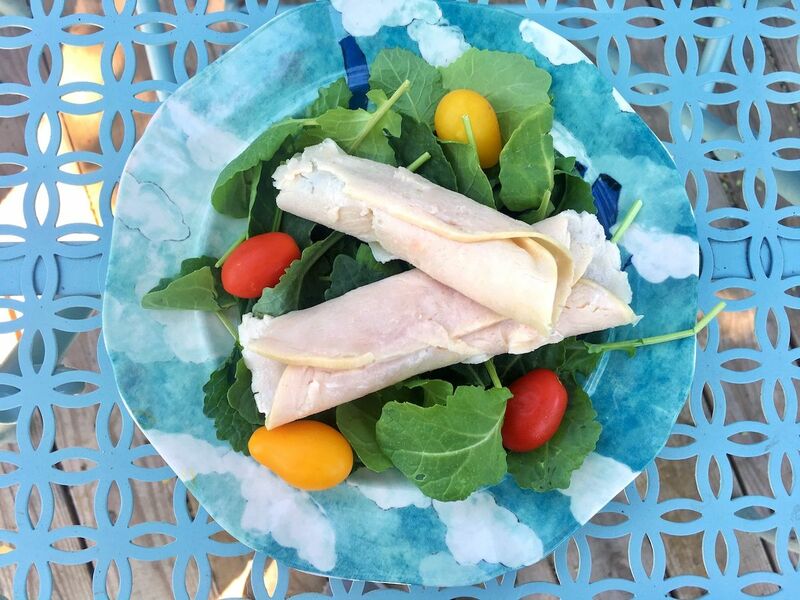 Starting on one side, carefully roll your turkey and veggies up in a little protein packed burrito!